Samsung is planning to introduce a foldable-screen smartphone early next year, people familiar with the matter told the Wall Street Journal. A prototype, named internally as 'Winner', features a screen that measures about 7 inches diagonally and can be folded in half like a wallet, the report said. When folded, the exterior of the phone has a small display bar on the front and cameras in the back. When opened, the device would be almost all screen, giving consumers a large display akin to a tablet. This would be a first in the market and provide a potential boost to slowing demand for Samsung. 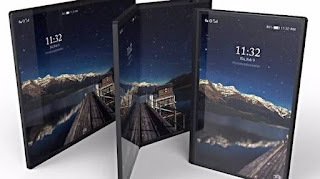 Other manufacturers have launched smartphones that fold, but those devices used two screens connected by their phone frames. The initial roll-out would be on a small scale, targeting specific markets like mobile gamers. If successful, it would pave the way for a broader commercial debut in the second half of 2019, the report said.